An in-depth collection of reviewed and analyzed Virtuemart add-ons; to extend a very popular, and widely used eCommerce shopping cart solution for Joomla CMS. In the rapid world of online commerce, communication is a commodity you have to get right. The better you are at communicating your products, ideas, intentions; the stronger your marketing, your brand and your ability to convince a buyer to commit to your product. Virtuemart is a great shopping cart product; it is free, maintained and very adaptable. Custom Fields in Virtuemart does not have the ability communicate additional information about your options other than what you cna express through a title. 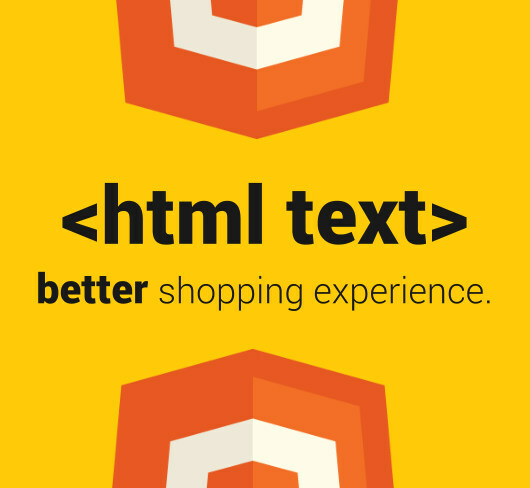 The “Virtuemart HTML Plugin” gives you the ability to add HTML Text Blocks above and below your custom fields. There is no second guessing or missed opportunities; communicate exactly what you need to and make it directly relatable to the options you are creating for your Virtuemart product listing. Install the plugin through the Joomla as a standard extension and enable the plugin in the Plugin Manager. This will add the necessary database columns and PHP files. There are a few code blocks to add to Virtuemart core files. Detailed instructions are provided or simply upload the edited files that correspond to your Virtuemart version. If you would like, we can be hired to complete this task for you. When you create a custom field (dropdown, image, date, plugin field, etc.) 2 HTML text blocks are added and can be used as default messages. Whenever you add the custom field to a product, the default message is loaded. Use your default message or change it directly in the product listing for a unique message relevant to that listing. Choose to have an HTML message above and/or below your custom field. Since it is HTML based you can include images, highlighted text, links and much more. Whatever you would enter into your Joomla articles using a WYSIWYG text editor, the HTML code can be placed into the text area and displayed beautifully in your Virtuemart listing. As with any open source software, it is your responsibility to take necessary backups. We will not be held responsible for conflicts with your server configurations or errors within your website. If you experience difficulties please contact us for assistance.